What bag do we keep spying on celebrities shoulders? 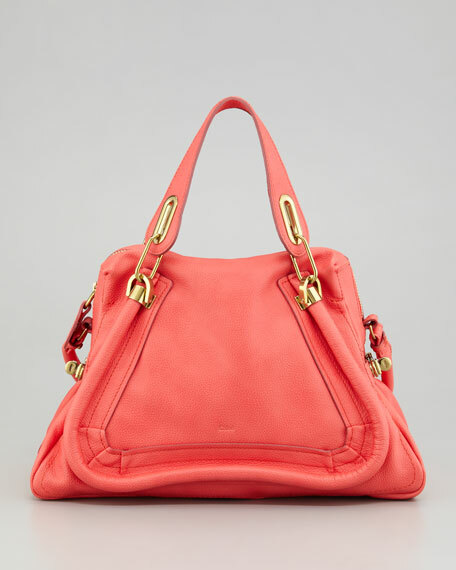 The Chloe Paraty of course. 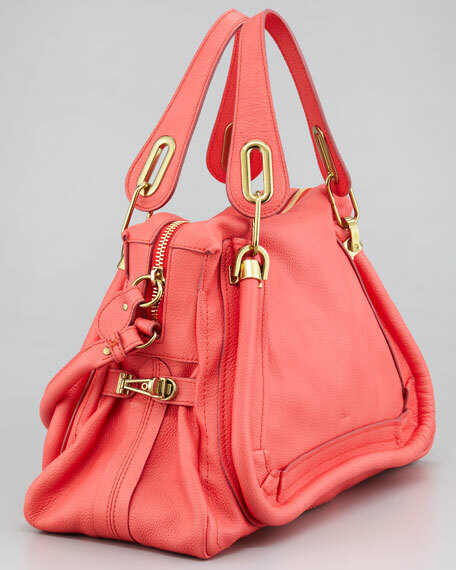 Gleaming hardware and a covetable color make this handbag the one you must have. Pebbled leather with brass hardware and tonal topstitching. 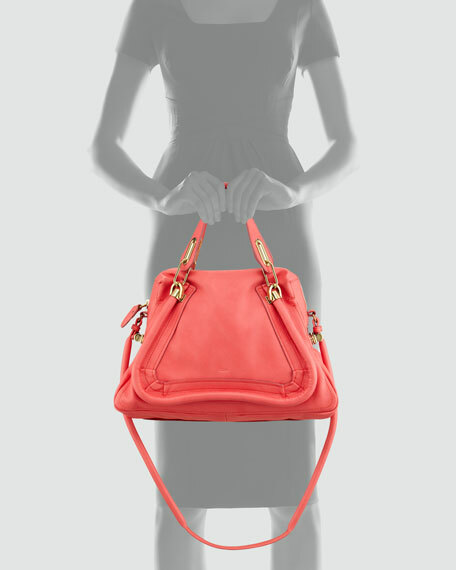 Detachable shoulder strap, 14" drop. Flat top handles with rings, 5" drop. Zip top; side twist-lock fastenings adjust size. Inside, twill lining; one zip and one open pocket. 10"H x 14"W x 4"D.